Come ring in the New Year and party hard with The Bard. Join us as we Macbooze it up! 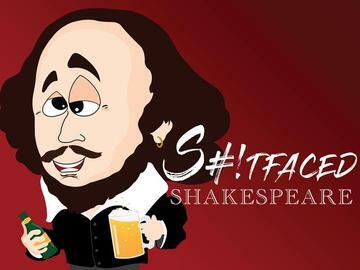 In addition to a full performance of S#!tfaced Shakespeare's Macbooze, guests will be treated to complimentary party favors, appetizers & desserts, champagne toast at midnight, live stream of the New York City Times Square ball drop and a few special New Years Eve surprises. Proceed directly to The Hardes Theatre for entry. Event disclaimer and limitation of liability: your participation in any public event, private event or activity listing is at your sole and exclusive risk. The host of any event may refuse admittance, may charge an admission fee, or ask you to leave an event at any time for any reason.